Since childhood I have different people’s thoughts and definitions of who I am swirling around in my head. People form opinions of who we are based on seeing us in one setting, from one angle and their biases. We all judge and assess. Our loved ones give us feedback based on who we are and how they’ve come to assess us. But there is an injustice we do to others when we purposefully disempower them by saying THIS is who you are. Sassy has been a word used to describe me, which has a negative energy surrounding it. Yet I have never taken this description seriously. 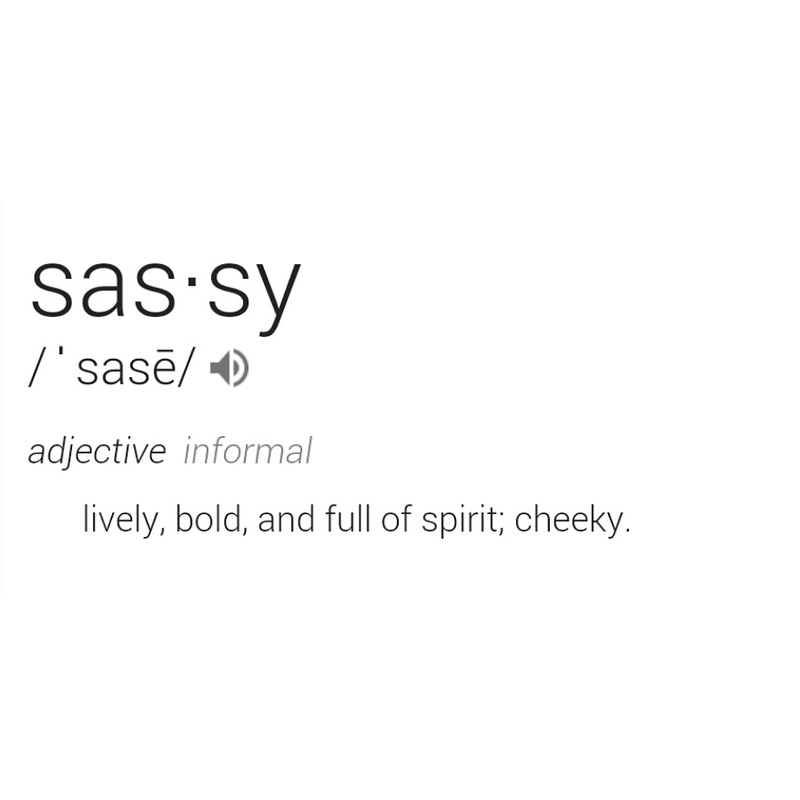 This weekend the word sassy came up again, and I decided to look for a definition, because words really do have power. I thought to myself, “Perfect. ‘Lively, bold, and full of spirit; cheeky.’” That;s a definition I love. I define myself. I define my world.